M. Night Shyamalam's Unbreakable (2000) and Split (2016) were both fantastic entries into the superhero genre and distinguished themselves by being low-key and grounded takes on the comic book film. 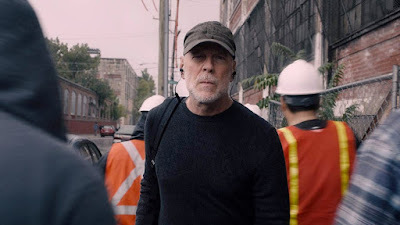 With Glass (2019) M. Night has finally completed the so-called Eastrail 177 Trilogy. 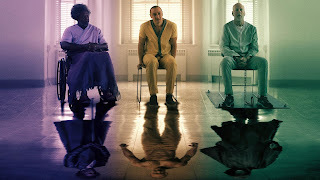 Glass takes place sometime after the events in Split with The Horde (James McAvoy), a man with multiple personalities, on the loose terrorizing the city and David Dunn (Bruce Willis) who has been dubbed The Overseer hot on his trail. Dunn works as a team with his now young adult son Joseph (Spencer Treat Clark). 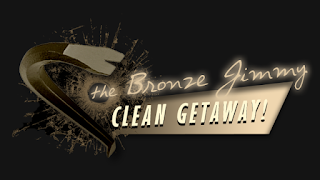 Later events in the film pit The Overseer, The Horde, and Mr. Glass against each other in a fight of brawn versus wit with unexpected results. The first two acts of this film are the strongest with lots of intriguing buildup and fantastic character interactions. James McAvoy knocks it out of the park with his acting and it's obvious he was having a lot of fun playing around with all the different personality traits (even changing personalities mid-sentence). Samuel L. Jackson is also excellent as Mr. Glass and he still oozes all the charisma and menace he had in Unbreakable. Unfortunately, Bruce Willis is the weakest out of the three and he feels a bit flat in his portrayal. Luckily, he isn't in the film as much as the others so his character doesn't bring down the movie too much. Thematically, Glass has a lot going for it and it poses some intriguing questions about self-actualization, potential, moral ambiguity, and does some musing on the mythology of the superhero archetype. While all of this is extremely engaging, M. Night has the characters explaining too much of this to the audience instead of showing them these ideas visually and leaving it as subtext. These concepts are great on paper, but suffer somewhat in the execution. That being said, when it works, it really works and there are some truly creative sequences. It just never gels together in an entirely cohesive way and falls apart to an extent in the third act. M. Night also seems to have some trouble with filming dynamic action scenes, and because this film leans more heavily into the fantastic than the previous ones, it looks awkward at times. The score is great and each character has their own distinct theme that will play when they are on screen. 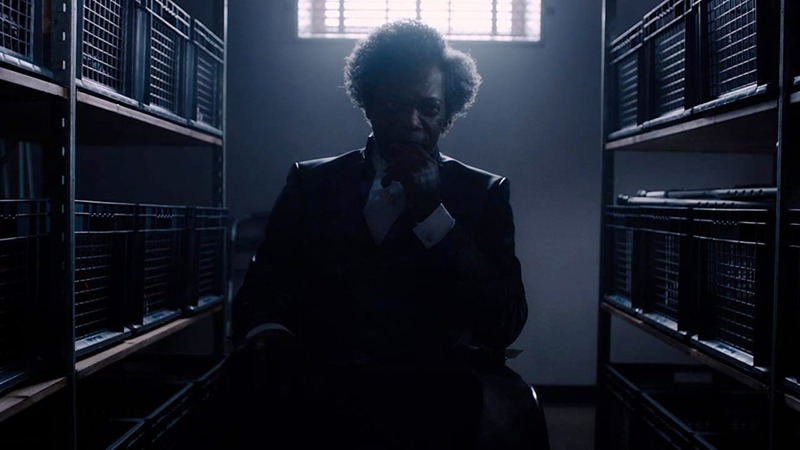 As per usual, M. Night's shot composition is excellent and he still uses color motifs as an indication of character and mood (Mr. Glass uses purple, The Horde uses yellow, and The Overseer uses green). I love the idea of subverting these superhero tropes and though this isn't based on any specific comic, if one is familiar with comics in general they will pick up on little references here and there. There are a few jabs at superhero culture as well that are hilarious, and it's great that M. Night isn't afraid to insert some humor now and again. As mixed quality as this movie is, I still respect that it tries to do something different with comic book mythology, and even with its flaws it is still worth watching--just to see M. Night finish his 19-year-long journey with these characters.